BRYAN EATON/Staff photo. 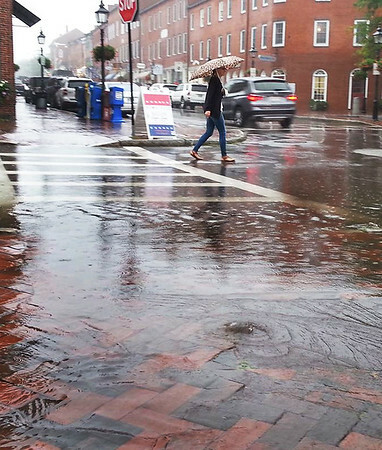 A burst of rain caused some minor flooding in Newburyport's Market Square at noon on Wednesday as it rained on occasion throughout the day. The rain is forecast to break this morning with generally nice weather for the weekend.